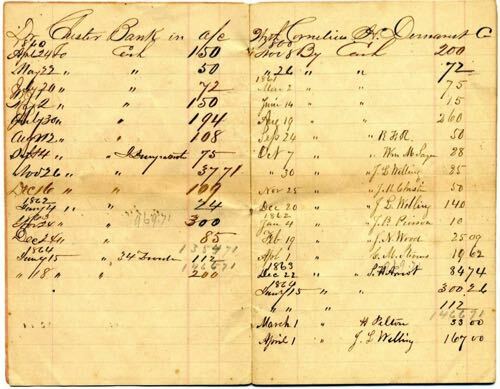 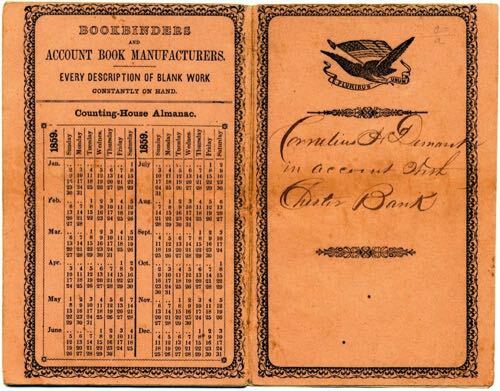 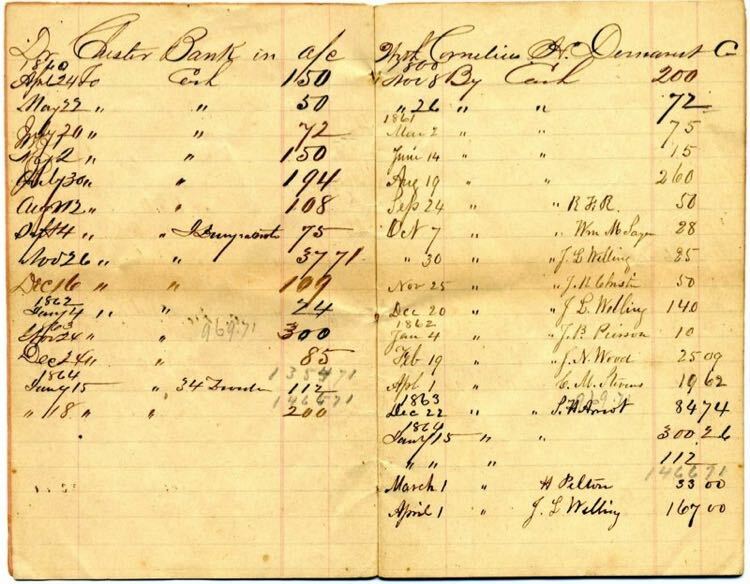 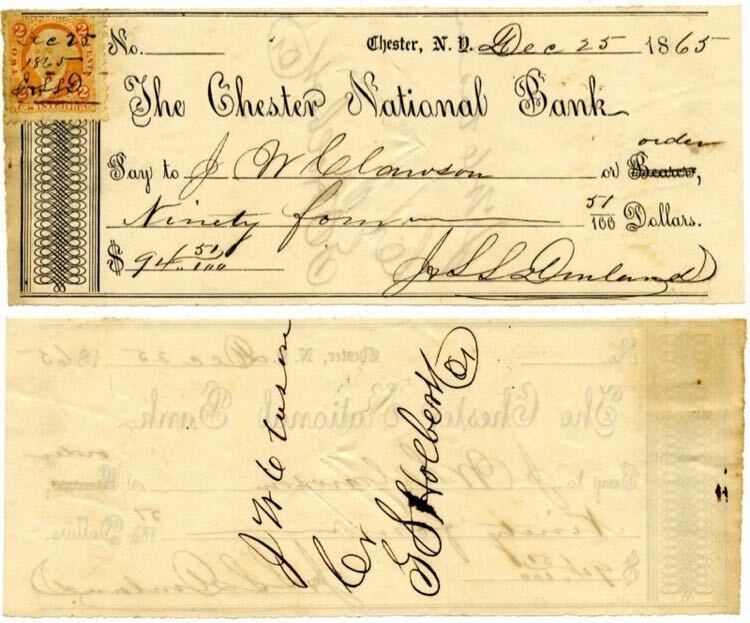 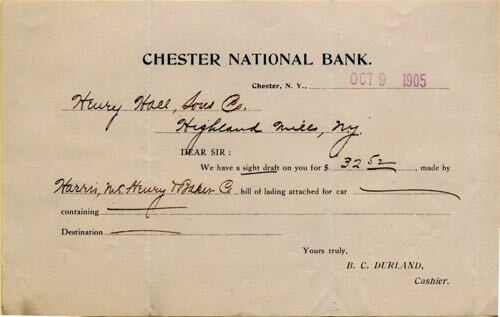 Chester's Banks, money, documents, images, etc. 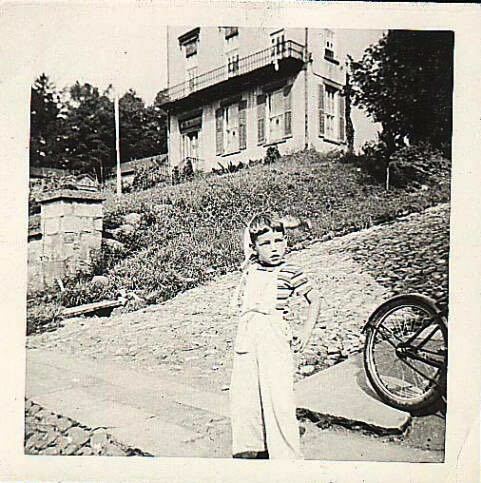 Will Boin, standing. 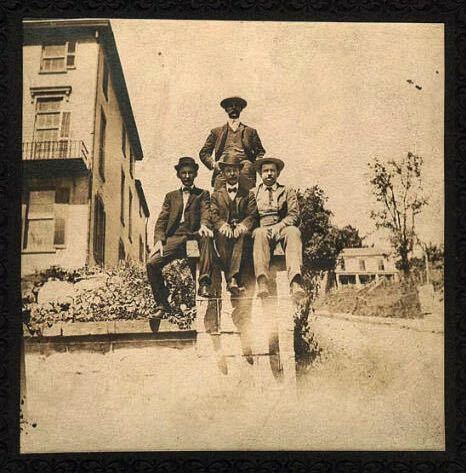 Seated: Melvin R. Wilkin, Will Christy, Fred Wilkin. 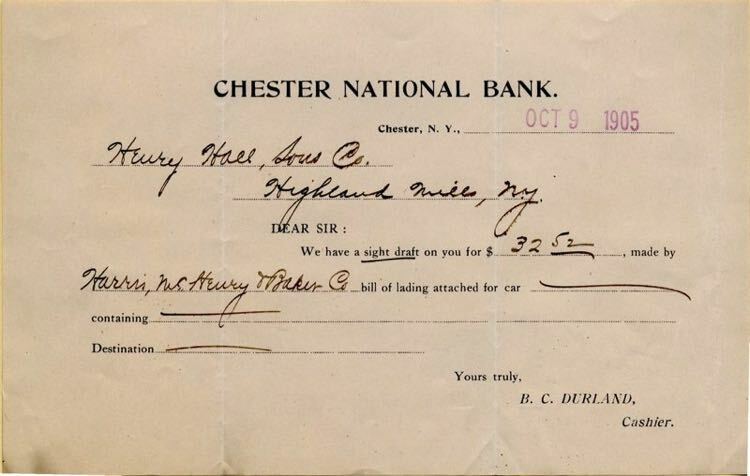 Photograph taken in front of the old bank building on Main Street in downtown Chester. 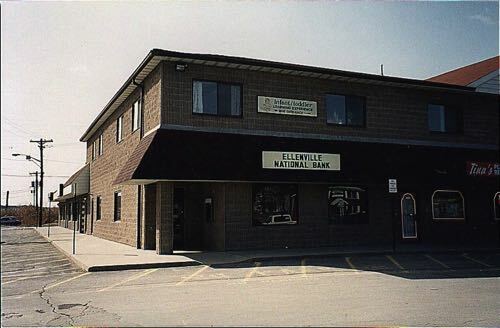 Bank Street on right. 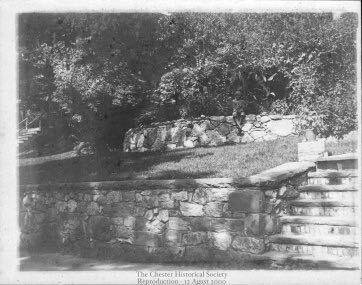 1925 photograph of young Nan Wilkin on Main Street in downtown Chester, with old Chester National Bank building in the background. 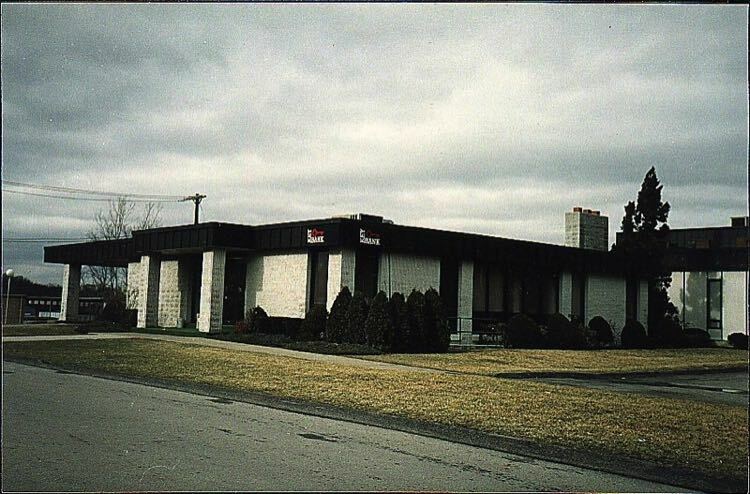 She married Vince Gallo and operated Gallo's Cozy Corner Restaurant in West Chester for 26 years until her retirement in 1985. 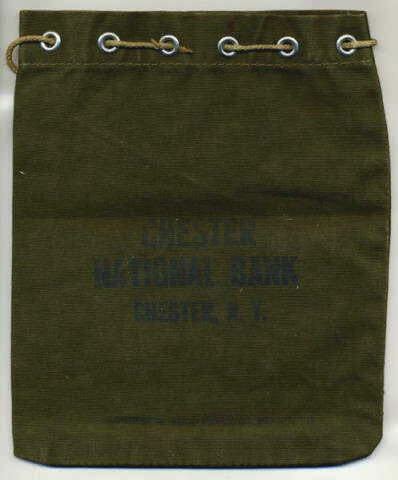 Chester National Bank canvas bag with drawstring closure for transporting coin and currency to and from the bank. 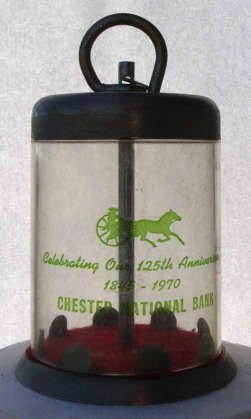 Coin bank: Celebrating Our 125th Anniversary, 1845-1970, Chester National Bank.